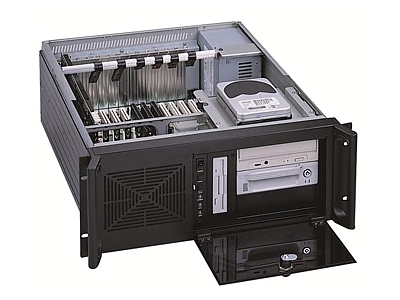 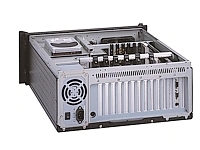 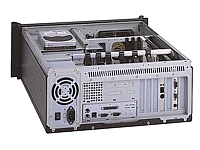 This GUANGHSING 19" Rackmount Industrial Computer Chassis - 4U has a flexible hold down bar, which protects the plug in cards from vibration and fans can be added ontop of it for extra cooling! 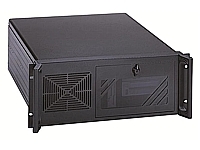 Removable air filter; and 1 x 12cm ball bearing fan with 90CFM/Each, and optional fans can be added. Drive Bays(Open) : 3 x 5,25" & 1 x 3,5"
Product Application : Web Server, Firewall Server, etc.